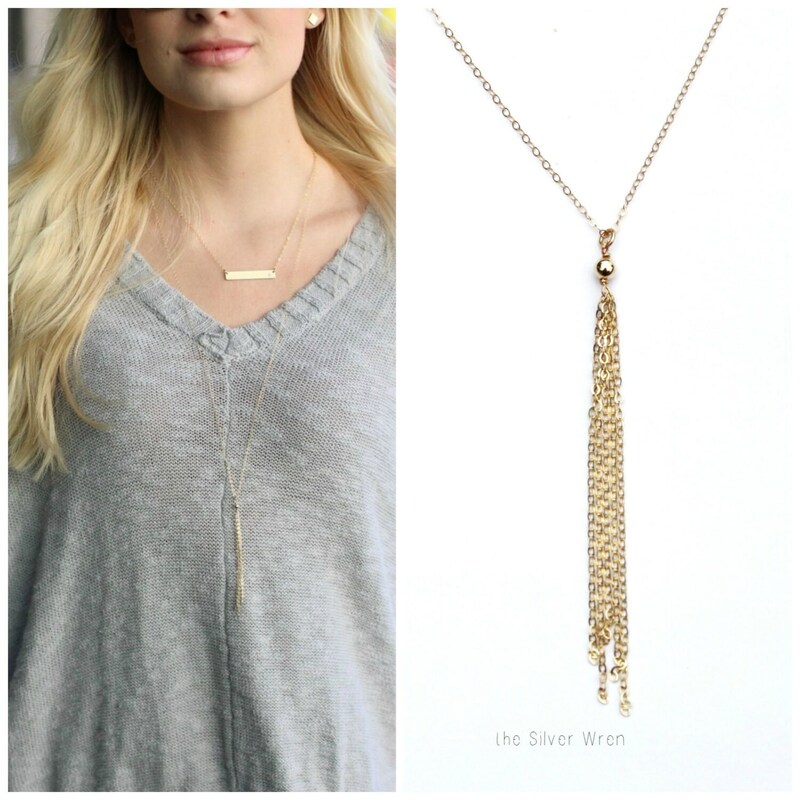 Stylish and elegant our gold tassel necklace goes with almost anything! 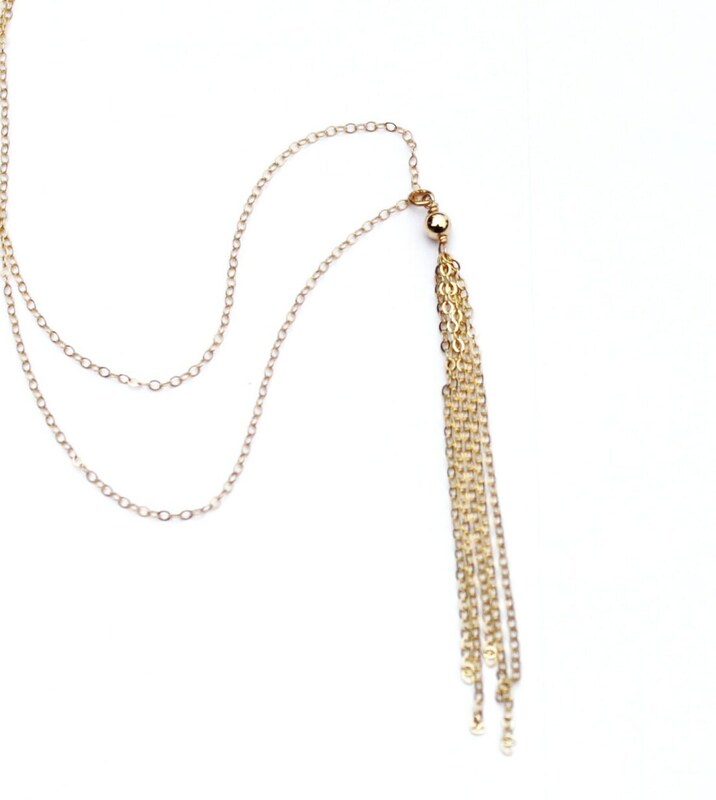 Handcrafted just for you with high quality 14kt gold filled chain. 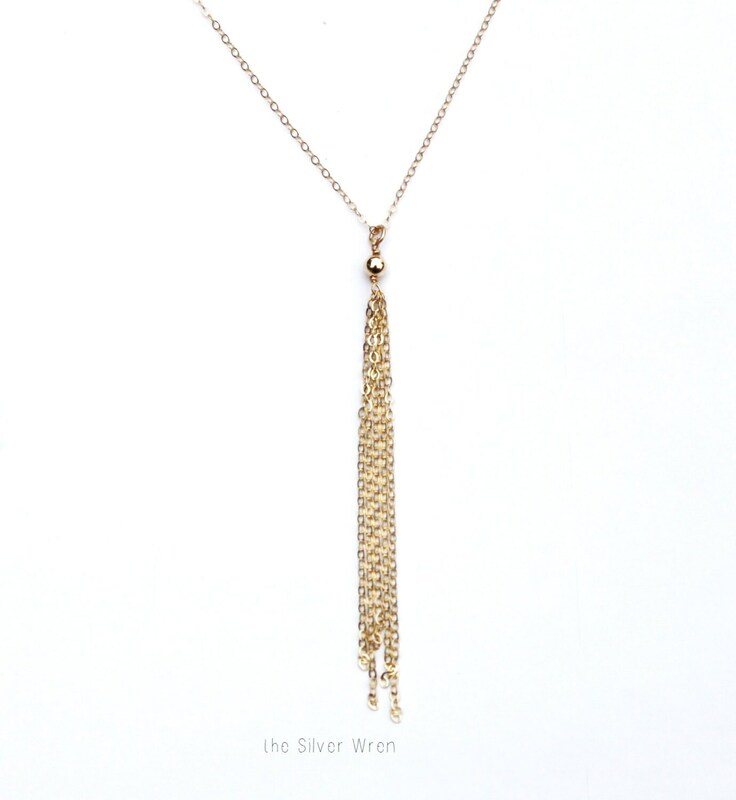 -Delicate 14kt gold filled tassel pendant hand wrapped with 14kt gold filled links. -Pendant is a tad over 3 inches long. -14kt gold filled link necklace. Choose 16,18, 20, 24 or 30 inches. Pictured at 16 and 30 inches. Beautiful necklace! 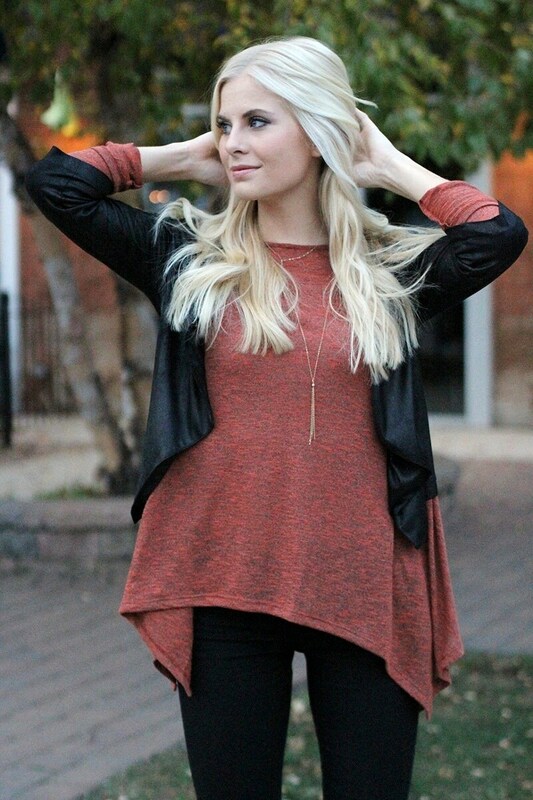 So excited to get to wear it! Beautiful piece, lovely packaging, nice touch.